The new Lord Chief Justice of England and Wales - Sir Ian Burnett - has been sworn in today (2nd October) - see the Judiciary announcement and the short video statement made by Sir Ian. The Lord Chief Justice holds the office of President of the Courts of England and Wales and is Head of the Judiciary of England and Wales - Constitutional Reform Act 2005 section 7. Sir Ian is also Head of Criminal Justice but it is permissible for the him to appoint another to that position - CRA 2005 section 8. (Note 18th October - The new LCJ has appointed Sir Brian Leveson as Head of Criminal Justice - HERE). 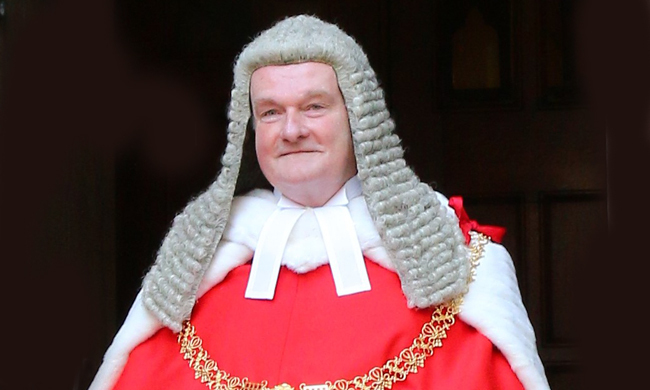 Sir Ian is the 19th Lord Chief Justice since the major court reforms of 1875 and he is the 12th since the end of World War 2. He is the youngest appointee since Lord Parker of Waddington who was appointed in 1958 at the age of 58. 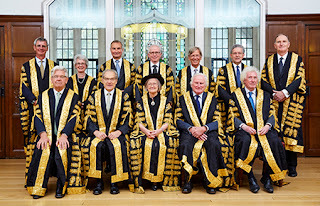 The new President of the Supreme Court of the UK (Lady Hale of Richmond) and the new Deputy President (Lord Mance) have also been sworn in along with three new Justices of the Supreme Court. The new Justices are Lady Black, Lord Lloyd-Jones and Lord Briggs. Lady Hale is the third President of the court but, very significantly, she is the first female to be President. Interestingly, the Chief Justices of Australia, Canada and New Zealand are also female - Susan Kiefel (Australia), Beverley McLachlin (Canada) and Sian Elias (New Zealand). Those nations are also "common law" jurisdictions. The Swearing in Ceremony may be seen via the Supreme Court website - HERE. Biographies of the Justices are HERE. The court now has its full complement of 12 as required by the Constitutional Reform Act 2005 section 23. Only three of the present Justices sat in the Appellate Committee of the House of Lords: Lady Hale, Lord Mance and Lord Kerr. 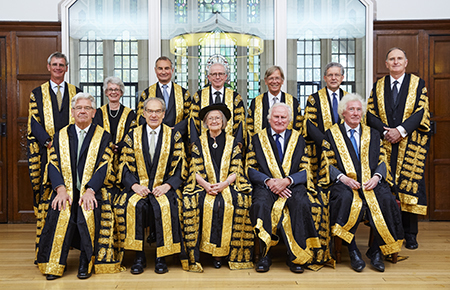 Justices of the Supreme Court are referred to as Lord or Lady even if they do not actually hold a peerage.